For over 20 years, the Osbourn High School (OHS) Band has delivered some of the finest gift wrapping in Prince William during the holidays. 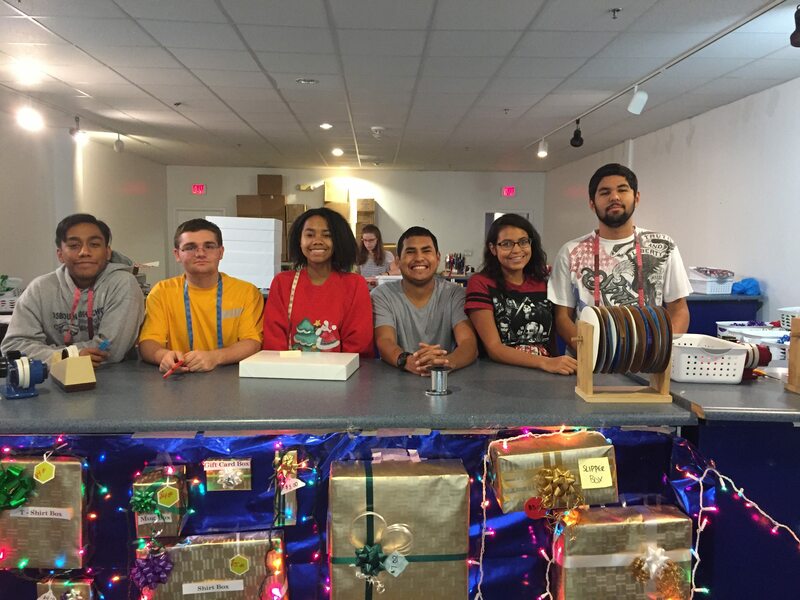 The two-decade endeavor between the Manassas Mall and the OHS Band Boosters gives the band exclusive rights to wrap holiday presents at a donated space in the mall every holiday season. From Black Friday to Christmas Eve, dozens of band students, parents, and sometimes athletes spend up to 30 hours of their week donating their time and skills to make your holiday present look professionally wrapped. Marching Band Drum Major Gladys Gonzalez, a junior who plays both the flute and piccolo, said that this is her fourth year volunteering at the wrapping booth. “It’s cool to volunteer here because you get to see people who are returning customers. Many of our customers come back each year. And, it’s nice to see students and parents from competing schools willing to stop by to get their holiday gifts wrapped to support our band,” she said. Suzanne Seaberg, OHS band parent, wrapping booth volunteer and Manassas City Public Schools Board member, echoed Gonzalez’s observations. “Alumni come back to see everyone and get gifts wrapped. It’s nice to see former OHS students still supporting their band,” she said. Zachary DiRenzo, a band senior who is also in Jr. ROTC and chess club, said that on a busy day, the team wraps over 100 presents. Lest you think that these students are not trained, the Band Boosters have an operation manual for the parents who manage the booth operations and training videos that each wrapper (student or parent) must watch before attempting to wrap a customer’s present. “Once we all learn how to wrap and create a standard bow, some kids get creative. When we see their idea, we want them to teach us so that we can try it, too,” Gonzalez said. DiRenzo said that it took him one season to perfect his technique. Gonzalez said that her mother taught her and her siblings how to wrap gifts, so it was easy for her to begin wrapping soon after she first volunteered. Tag Day is a fall fundraiser when the band members go door-to-door selling “tags” for donations. If you purchase a tag, you can simply bring that in when the gift wrapping booth opens and get your gift wrapped. The trick is to place it on the fridge so that you don’t lose it and it reminds you to use it. Erica Washington, who coordinates the wrapping booth and the band’s social media, said that it costs the Band Boosters about $2,000 to stock the booth with assorted wrapping paper, boxes, bows, ribbon, tape, scissors and other supplies. 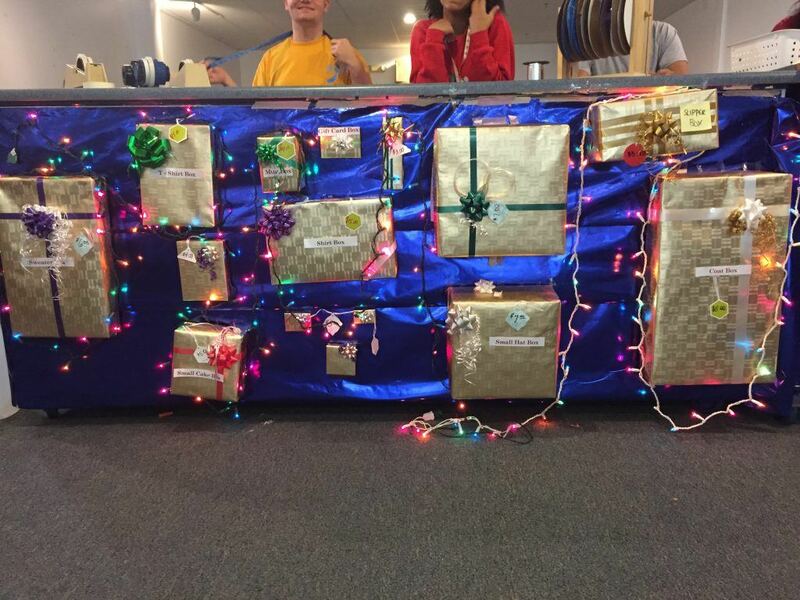 “Earnings from the OHS High School Wrapping Booth fluctuate between $8,000 – $10,000. The funds we raise help band students cut down on the cost of band-related expenses,” she said. This year the OHS Band Wrapping Booth is located next to Sears. Boxes are included in the gift wrap price. The booth is open when the Manassas Mall is and remains open until 4:30 p. m. on Christmas Eve. Details can be found at the group’s Facebook page facebook.com/OHSBandb. Volunteers may contact Erica Washington at [email protected]. 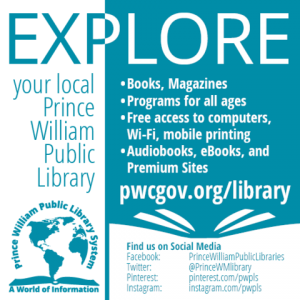 Kim Howard, CAE, ([email protected]) is the editor in chief of Prince William Living. A former Enterprise (Alabama) High School band member, she remains a sloppy gift wrapper but has used the OHS Band Wrapping Booth services on more than one occasion.